It was a good week of spring weather in West Michigan and more good progress was made on the archive/office addition at the PRC Seminary. The Bosveld “team” of John Hop was there to carry on the work, inside and out. It started with some wrapping of the outside roof area with more board and Tyvec, in part because we were supposed to have a rainy day Wednesday/Thursday. But it stayed nice and that work was completed. Part of the work involved demolition of the old roof overhang, because what was outside is now inside. Make sense? Perhaps a few pics will help here too. And now you can see what wall has to come down. Yes, that brick one, so that a temporary stud wall can be made for the south side of that first office. Which stud wall will eventually come down too, when that temporary office is no longer needed. Then the “office” will become part of the library. Or maybe the archives. I know, it’s getting complicated, so let’s not worry about that right now. And last, but not least, a little work was done this week on the library renovation part of this project. Two rows of sample sound-deadening ceiling tiles were put in by “JH.” so that we can begin to get a feel for how they look and how they sound. That is, hopefully, what sound we don’t hear. Make sense? Good! Stay tuned for the next installment of PRC SAAU (seminary archive addition updates)! It was an exciting week at the PRC Seminary, especially weather-wise (no major storms this week!) and new addition-wise (what progress this week!). On the weather front, we started with a few inches of snow Sunday night and Monday morning, and it was cold – due in part to clear skies and a February “super moon.” But then we had some glorious sunny weather and two beautiful sunrises in a row. Yesterday they completed their brick-laying on the north wall, and today they returned to take down the scaffolding and clean up (“brickies” are not as bad as plumbers, but they’re still messy!). It’s a great-looking masonry job, don’t you think? But now that last picture gives away what else happened this week – yes, indeed, the trusses for the “second” roof went up (remember the first roof that went over the new archive room and future workroom consisted of concrete planks and a rubber seal – like a “pool” to collect any water this second roof may let through)! Monday morning the trusses were delivered, and yesterday and today the Bosveld crew went to work setting them and then the base boards of the roof, including plastic and a bit of tar paper. The weather was good and the gang amazingly efficient. And the good news is that the gusher stopped shortly thereafter, a fan set overnight dried up the wet carpeting, and Sem. Kortus returned to his own carrel today. O, and the roofing repair company came out today to find and fix the leaks! Thankful we are for all the folks in construction, new and old. Inside the seminary, we had another blessed week of instruction, learning, devotions, and fellowship. Sem. Josiah T. led us in devotions this week, and took us through Genesis 1. The singing was good, which led me to make this video – something about a group of men singing acappella. Finally, in a non-seminary-related matter but still connected to books and libraries, a friend sent me this link today to a very cool “little free library” in the beautiful town of Coeur d’Alene, Idaho. Here’s the first part of the story; read the rest here. And thanks, Matt M. for passing this on. He knows these stories really get me excited! 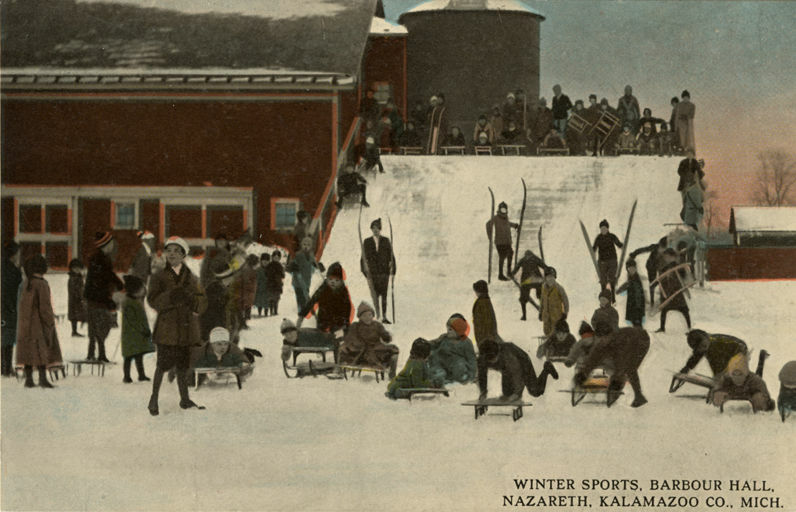 While this Friday quickly slips away, we can still get in a “Friday Fun” post, featuring things related to this week’s ice storms in West Michigan, some old skiing pictures in our great state (thanks to MLive), and some great book items from Book Patrol. First, a few pictures of the fruits of the ice storms that hit us Wednesday and Thursday mornings of this week. Last week the Lord’s snow left a trail of beauty; this week it was His ice. Here are a few pictures from around the seminary property. The second item is also winter related. 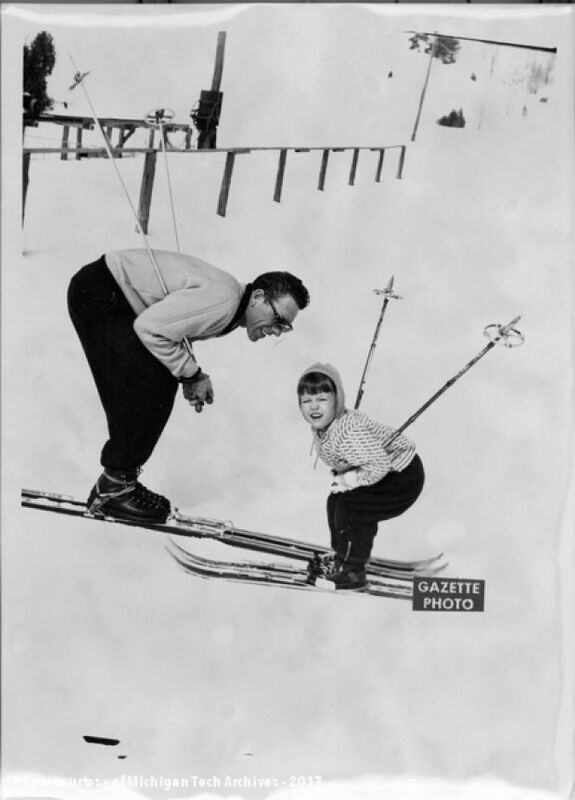 Today MLive news featured some vintage skiing pictures taken in various parts of our state, mostly in the north country, as you might guess. I love these old photos and give a few here. Find more at this news link. TODAY from 4-6pm EST, Prof. Cammenga will be interviewed by Chris Arnzen on his radio program Iron Sharpens Iron. The subject will be the book, Saved by Grace: A Study of the Five Points of Calvinism, that he co-authored with Rev. Ron Hanko. Be sure to tune in today! The sponsorship and promotion includes a free copy of the book to those who call in. We hope you take the time to listen and participate if you can. And let us pray that the witness of the Reformed faith (biblical Calvinism!) for the glory of the God of sovereign, particular grace is advanced through this means! *UPDATE: The podcast of yesterday’s interview with Prof. Cammenga is now available. You may find the audio file here. It has been a wintry, blustery, snowy, and icy week here in West Michigan. From Monday through Thursday we were under a winter storm warning, with steadily plummeting temperatures and heavy, driving snow – first from the east and then from the west, as a northern “polar vortex” enveloped us and triggered our lake-effect “snow machine. Drift out the back door of seminary. Caps on the phone and power boxes on the side of seminary. 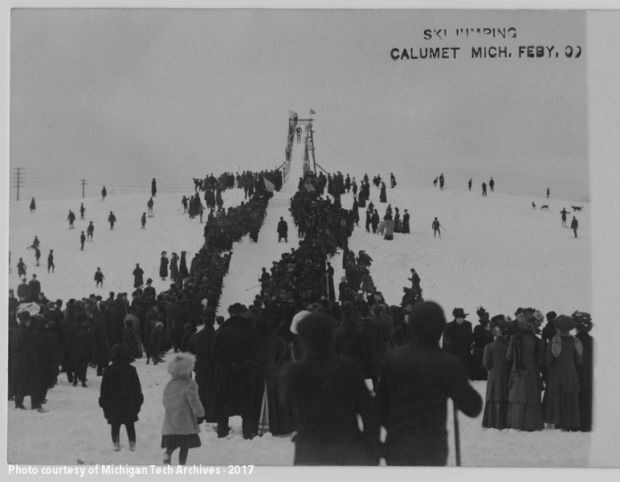 Due to the snow and icy roads, as well as the below-zero temperatures (-15 F plus windchill!) our faculty cancelled two days of classes (Wednesday and Thursday). Which means we squeezed in two days – Tuesday and today (Friday). For those who may not remember this, Mondays are reserved for practice preaching and catechism instruction by our professors and students. Even the wild turkeys were thrown off on Wednesday, as the driving snow and bitter cold led them to roost in the trees by four in the afternoon already! Why they think going higher in a tree on a day like that is going to be warmer is beyond me. The Eskimos have it right: bury yourself in it to find shelter and warmth. Obviously, no work could be done on the seminary addition (archives and offices). But is often the case, after a few wild days, the skies clear and the sun comes out, and God’s handiwork in this season of the year stands out with a brilliant glory. A beautiful Thursday morning greeted us, complete with a “sun dog” (formed by ice crystals in the air as the sun passes through them to create a unique rainbow). A few images of our backyard and deck. We know the seasons and these storms are prepared and directed by our Lord’s sovereign providence, and when you see the design of the snow mounds and drifts after such events, you stand in awe of the God who alone can design and create such wintry wonders. He is the God of infinite greatness and glory, and we are so small, so helpless before His power (and cold! ), and yet so dependent on that power. He humbles us, teaching us to trust Him as our Father and live out of His almighty hand and merciful heart. And in the midst of cold and snow, He gives us seasons of good food and warm fellowship, as we had at our special Friday lunch today. Among faculty, students, staff, and friends, Rev. Daniel and Sharon Kleyn joined us to talk about their life and work in the Philippines, especially the preparations being made for their own seminary. It was a blessed time. And some of the little lambs of our seminary family made their own fun and friendship. Since last Tuesday’s report (Nov.26) much work has been done on the PRC seminary addition (new archives room and offices). After the footings and walls were poured and had time to cure, they were back-filled and then sand hauled in for the base to the floor. Then special footings were also poured in the floor for the interior walls, before the main floor was poured. The Bouwkamp masons followed this work and laid a single course of block on the newly poured wall, also in preparation for the pouring of the floor. Yesterday (Monday) being the mildest day of the work-week, the floor was poured! A larger crew of Bosveld workers participated and a critical part of the building was done! Time to smooth it out with power trowel and hand trowels – the finishing touches by Nate P. and Matt VO. The new concrete floor had to have blankets to keep it warm and help it cure in the Michigan cold! Today, Bosveld and Kuiper Excavating were back to work on the new fire lane and construction drive. A lot of dirt was moved, and recycled, crushed concrete was put down as a base. The new “road” to the west of the project will assist all the future construction and serve as a fire lane required by the city of Wyoming. Again, thanks for the great work, men – and lady! (Did you spot the one gal in the pictures? Yes, Holly H. was “manning” the cement hose – not an easy task! Last week we reported on the initial groundbreaking and excavating of the new PRC Seminary addition (off the library to the north) that will contain the new PRC archives and two professor offices (initially). Since then, the footings were put in by Matt Van Overloop and Nate Price of Bosveld Builders and the concrete poured by Hunderman. That took place last Wednesday already (Nov.21), the day after the excavating. Prof. B. Gritters talking to Nate P. and Matt VO. The footings all poured and covered for their chilly night. Yes, this is the scene from the front of seminary today, Nov.26! Looks like January! Today, in spite of a major snow storm and cold (6-8 inches in our immediate area), a crew from Ron Miedema Concrete set the forms and poured the base wall for the new addition. It was fun watching the large pump truck, through its extensive arm system and flexible hose, place the cement right where it was needed. At the end of the day, the walls were done and ready to cure, which I would guess, will take a few days in the cold forecast for this week. We’re grateful for the diligent work of these men so far – in some chilly and snowy weather!